Fashion Pass Clothing Rental Subscription – Should We Review It? The Products: Get unlimited clothing and accessory rentals with just one monthly membership. 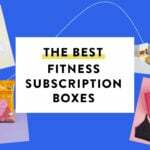 What do you think of this subscription box? Would you like to see it reviewed? What do you think about clothing rental subscriptions? Easy pass for me. I have used Rent the Runway, because while I do have 2-3 special occasion dresses, sometimes you just want something new, but that won’t sit in your closet after you’ve worn it and I don’t have many options in my location for formal wear so I’d probably end up ordering something anyways. I don’t wear head to toe trends; instead I focus on high quality basics that I spend money on and wear repeatedly in different ways and mix in a few trendier items (that I don’t spend as much on). An everyday clothing rental makes no sense to me unless you’re post partum or dealing with weight loss or gain due to temporary medical issues or losing more than a size or two. meh… smells like it feeds the part of the population that is desperate to create a insta life or portray some kind of better than soc media persona. Why not feel empowered by dressing in stuff you can actually afford to buy? Why feed the poser generation false life show off vibe? Many vloggers, YTers, bloggers and those who promote themselves and gain monies from it online tend to participate in these things in their desperation to be considered an influencer. Its inauthentic, its misleading advertising in an effort to get your “base” to endear to you and its disingenuous. Why not be real and true to you- not rent high end to floss and pose. I say no. And it also contributes to higher consumer costs and enviro concerns. I can’t imagine paying that much for rental clothing – but I guess if ‘gramming your outfits is important than it’s the way to go. 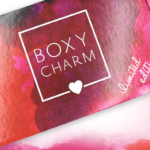 I’ll stick with Stitch Fix! Do they offer plus sizes? I’m really over subs like this that don’t offer larger sizes. I’d be very interested in seeing a review. It looks like they carry better brands than Le Tote! Seems more expensive for what you get then other clothing subs, I’d pass. Maybe a box or two to compare to Le Tote? Clothing rental is a good option for those who are going through weight changes or have a lot of events to attend. Meh no probably not. Doesn’t look like anything special. Of the 12 brands listed on their home page, 3-4 have been in FFF boxes in the past year or so. So I’m thinking most of their pieces are affordable and mid-priced. I don’t understand the fad of renting everyday clothes. Formal wear for special occasions, definitely, but not the stuff we wear everyday. Easy pass for me personally. I do rent “everyday clothes” through Le Tote and it’s been really great for me, but it’s not for everyone to be sure. If you’re super into fashion or shopping, it’s probably more interesting to curate your own wardrobe through shopping. For me, I prefer to have a classic look and I hate shopping, so a clothing rental helps me find clothes that really fit and feel comfortable, and I can keep my permanent wardrobe small and neutral while incorporating trendier pieces on a temporary basis through the rental. It’s also great because you can temporarily grab pieces for whatever is happening this week – a date night, a vacation, an important meeting, etc. without having to go shopping or feel like you suddenly hate everything in your closet. As for this particular service, a glance at their website and I don’t think the brands are exciting enough for the price per amount of items, but I’d be interested to see a review and what kind of pieces they actually include. I would say not if they participate in fast fashion and filling landfills with clothing. If they use ethical brands and have a sustainable way for clothes to be used once they are past their rental prime (no one wants to rent clothes that look even a little used), then I’d be interested in learning more.